When we started working with Billy Corgan on the pickups for his signature Strat®, we sent him several models to try out. He liked the Air Norton S™ in the neck, The Chopper™ in the middle and The Tone Zone® S in the bridge. After playing them on several gigs, he asked for some changes in the neck and bridge pickups. He wanted a deeper sound from the low strings without losing any punch, and he didn't want the sound to get muddy with high-gain amps. To do this, we lowered the frequency response of one of the the coils in each pickup just enough to boost the bass while opening up the mids. The end results are the pickups that are now in Billy's signature Strat®. They do exactly what he wants in humbucking mode, and he's found they work really well in split mode as well. 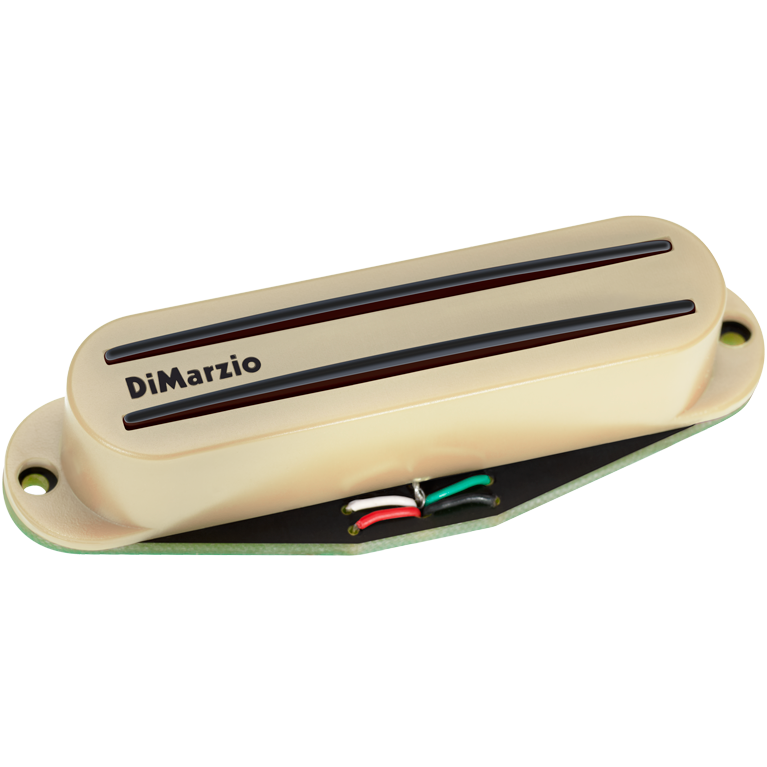 The output and DC resistance specs of the DiMarzio® BC-1™ and DiMarzio® BC-2™ are very similar to those of the Air Norton S™ and Tone Zone S™, respectively. The difference is in the tuning of the coils, and how this affects the way they interact with each other. It can be described as more of a "feel" than a sound difference — Billy's pickups seem to move more air.